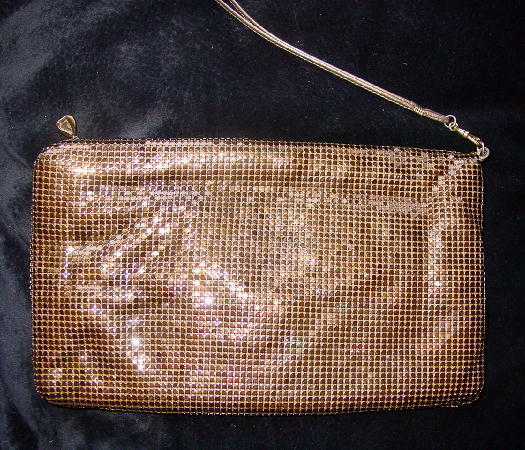 This dark coppery metal mesh evening purse is by Whiting and Davis. The front has an (almost to th top) side to side zipper with a small chain link and a freeform heart-shaped pull. The left side has a thin color matching leather hand strap with a 7" opening. 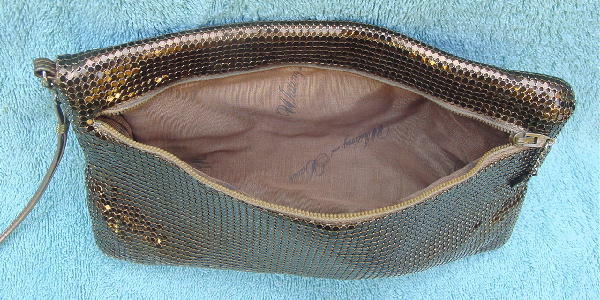 The very nice golden brown fabric lining has Whiting and Davis written on it in several areas. 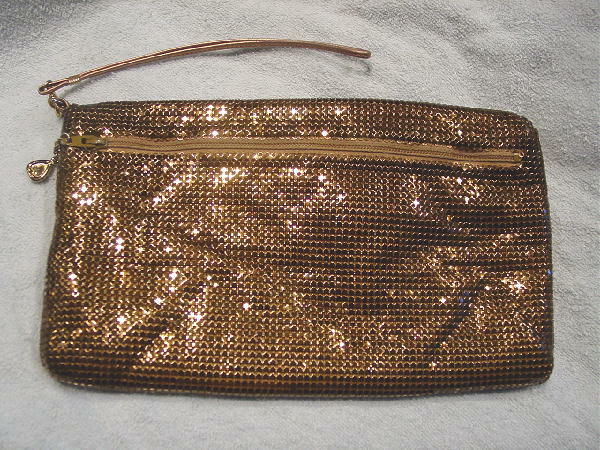 It has great color (it's more coppery than it appears in the pictures) and the hand strap leaves both hands free for dancing or the buffet line at a party. It was the only evening purse she used while modeling. Since having several children, she doesn't get out much.